Work in Progress: getting stuck! 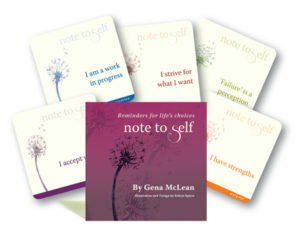 I once discovered a little card in a little card set called Affirmation Cards for the Bored Cynic. I like the sentiment greatly because we are all works in progress but sometimes we do stop, or we get tempted to stop, or we become complacent, or we get stuck in a rut. And sometimes where we stop is in an uncomfortable place. Sometimes we want to make progress, but the way ahead is murky or our energy is depleted or we simply get bored with ourselves, with our partners or with life itself. Is stuckness the opposite of progression? 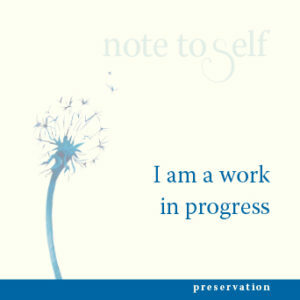 If it is, what are the antidotes to help resume our ‘work in progress’? Perhaps all writers and ‘creatives’ are works in progress, able to see the evolution of their creativity. But like writers, we are all susceptible to writers’ block when progress fails us. What do we do to avoid boredom and entropy when stuckness enters our everyday lives? For some people stuckness can have disastrous consequences—domestic violence, child abuse, addictions, self harm and so on. Counsellors, therapists, psychologists, social workers and all human service practitioners need a repertoire of skills and resources to work as catalysts to counter such stuckness. Innovative Resources’ hands-on tools provide a range of simple conversation-building materials, which, combined with respectful, future oriented, solution focused questions, have helped countless folk to stay a work in progress.